June 7th, 2018 by Jordan R.
The Automotive Science Group (ASG) has recently concluded several assessments pertaining to vehicles that excel in three key areas in the automotive industry: environmental, social, and economic performance. What a surprise that the Mitsubishi Motors brand has been selected as the automotive brand to excel in all three. Winning awards for the Mitsubishi Outlander PHEV is one thing, but two for the Mitsubishi Mirage is an even bigger surprise. Given the shift automakers are making towards lineups dominated by SUVs and crossovers, many think small and medium-size cars are going out to pasture, but the Mitsubishi Mirage hatchback may be here to stay. First, a little credibility. In 2007, the Automotive Science Group was created to support Eco-innovations’ mission of addressing environmental challenges with market-based solutions that prompt informed consumer action. ASG achieve this by informing consumer choice by enhancing product and technology comparison capabilities to better serve the environment. With this research, consumers can make informed decisions that are not only in their best economic interest, but also in the best interest of our environment. Recently, the Automotive Science Group assessed 823 model year 2018 crossovers, SUVs, and minivans in North America, eight of which are made with plug-in electric capabilities, while conducting their Automotive Performance Index study. Hybrid and alternative fuel technology had been entering all classes of the automarket in recent years, and most recently, the SUV segment has been experimenting with alternative fuel. For the study, the SUV segment was comprised of 372 models (including trim variants). This plug-in hybrid electric vehicle (PHEV) has definitely won the hearts of many. The Mitsubishi Outlander PHEV was named as one of the “Best 5 All-Around Performance” vehicles by the Automotive Science Group at the end of their Automotive Performance Index study. Most of this can be attested to its EPA rated 74 MPGe (miles-per-gallon equivalent for electrical energy consumption); the 2018 Mitsubishi Outlander plug-in hybrid can drive up to 22 miles on electricity alone with zero tailpipe emissions, a huge win for the environment. The Automotive Science Group isn’t the only organization celebrating Mitsubishi Motors’ success with the Outlander PHEV. The New England Motor Press Association (NEMPA) recently concluded their eighth annual NEMPA winter vehicle competition. NEMPA is a regional motor press organization that represents all six New England states. NEMPA’s automotive writers and talk show hosts influence consumers who are in the market to buy cars and trucks in order to cope with the region’s punishing weather conditions, especially in the winter months. NEMPA members tested and evaluated numerous vehicles throughout the winter months in the New England area to determine which vehicles offered the best driving capability in harsh weather and road conditions. Amongst them was the Mitsubishi Outlander PHEV, and Mitsubishi Motors North America earned top honors when the 2018 Outlander PHEV was named the “Best Green Winter Vehicle”. Much of this is due to not only the plug-in hybrid’s capabilities, but also Mitsubishi’s Super All-Wheel Control (S-AWC) system, modified specifically for the Outlander PHEV’s unique twin electric motor configuration to allow maximum performance, tractability, and safety. Snap back to the Automotive Science Group, and the 2018 Mitsubishi Mirage won two awards. Remember those three key areas of performance? Environmental, social, and economic performance – these were the areas analyzed among 2018 vehicles from a field comprised of 33 automotive companies. Mitsubishi Motors outperformed the average brand by 16 percentage points, showing the best all-around value and performance in 2018, and earned the Mitsubishi Motors North America, Inc. Recognition as the “Best All-Around Performance Brand”. During this study, the 2018 Mitsubishi Mirage earned the “Best Economic Performance Award” for the second consecutive year after outperforming 1,664 vehicles assessed for the 2018 model year. The ASG also noted that the Mitsubishi Mirage “holds the smallest life-cycle carbon footprint of any conventional powertrain, at 301 grams C02-e per mile driven life-time,” and “holds claim to the lowest cost of ownership and best economic performance of any model year 2018 car in the North American market.” We’d also like to point out that the ASG named the Mitsubishi Mirage as one of the vehicles for the “Best 5 All-Around Performance Award,” landing in the top five of 356 conventional and alternatively powered vehicles in the small car segment. How do you like that? Mitsubishi Motors taking names over here! 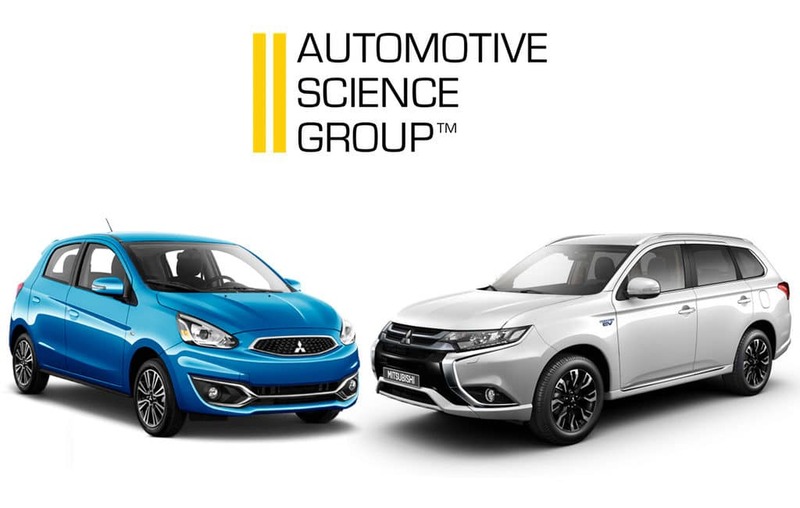 Check out the award-winning Mitsubishi Outlander PHEV, Mitsubishi Mirage, and other Mitsubishi vehicles at University Mitsubishi in Davie, Florida.